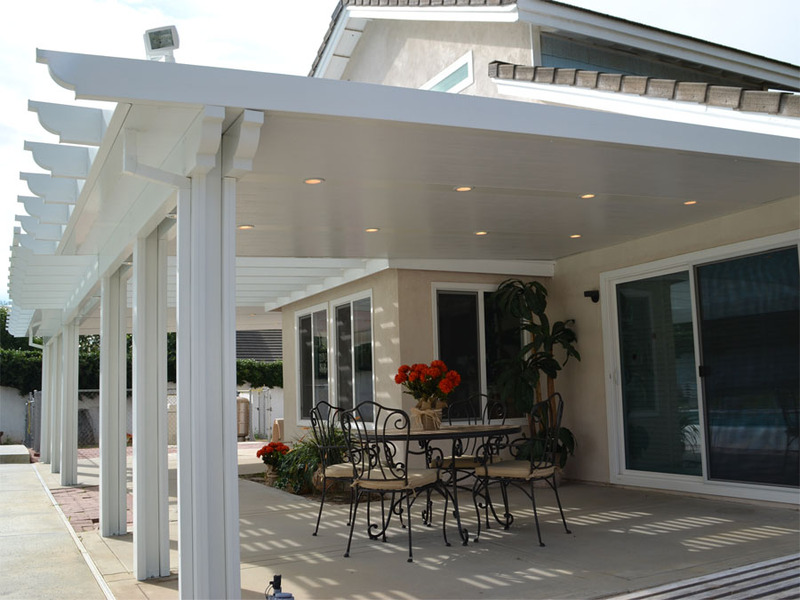 Full Shade Patio Covers | Canopy Concepts, Inc. 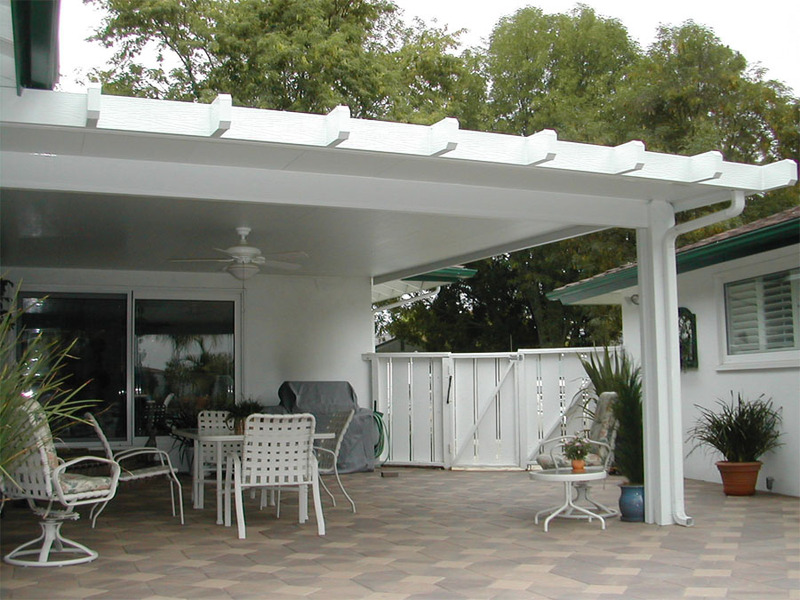 When you need maximum shade and protection from weather conditions, full shade patio covers is the answer. We offer a variety of choices. Our standard “flat pan” product is our most popular style. Flat pan has a deep wood grain texture and the finished product looks just like real wood except – no painting, no termites, no rust, no rot – ever! Flat pan can be purchased with the Metals USA, Allmet Elitewood Kynar® finish for a lifetime of maintenance free service. Elitewood Kynar® is superior then any other prefinished aluminum product on the market today. It wears better and will retain its beauty longer than polyester coatings. There are five colors from which to choose. 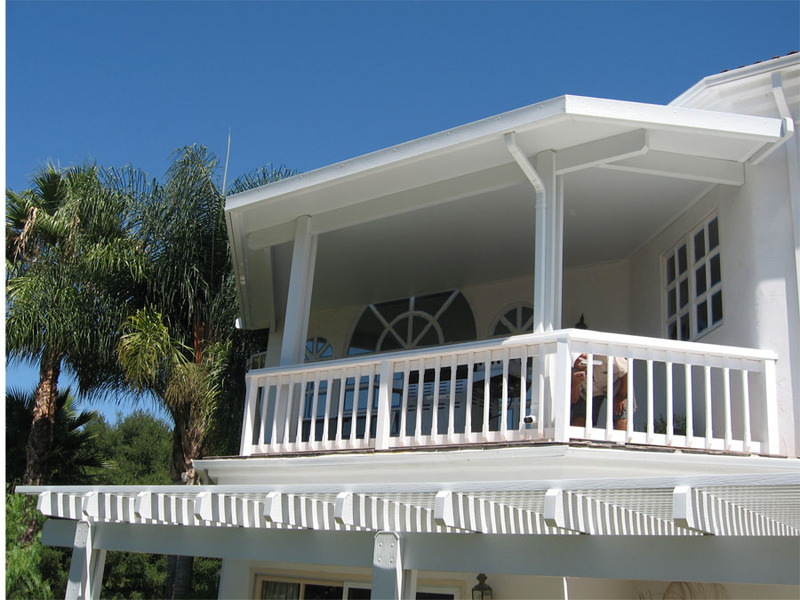 For additional protection and insulation you may want to consider our 3” Elitewood insulated roof deck. This cover has the same wood grain texture as the Flat Pan but is 3” thick. This gives you a quieter, walkable cover. 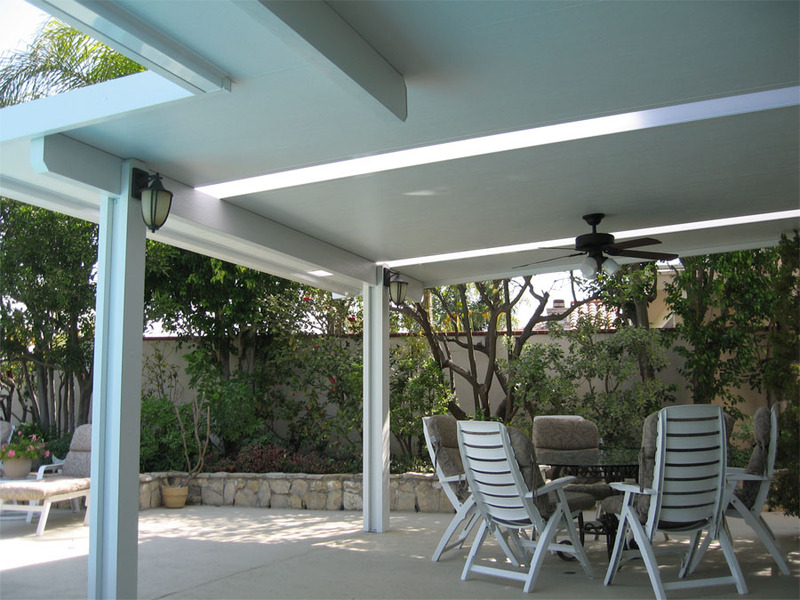 Invisible metal channels inside the roof panels enable you to install lights or fans in the cover without the use of conduit.